As a newbie gardener in the 70’s, I learned many things from watching James Underwood Crockett on WGBH’s Crockett’s Victory Garden. Number two (number one was “soil preparation”) was the year-round cycle of the garden and the gardener’s job. Jim Crockett’s popular follow-up book to the television series started with the month of March as the beginning of the gardener’s year. So here we are at that important month! At home, we dream up new design options for our gardens and plan. What better place to plan than at a class at Mass Hort. Our classes inspire, motivate and educate throughout the winter months, so make plans to gather with other like-minded gardeners and be inspired. Check out classes on seed-starting, design, pruning and the spring garden online . Between snow squalls, ice and wind storms of late, warmer weather made several garden preparation projects possible at The Gardens at Elm Bank fueling our enthusiasm for planning, designing and gearing up. Volunteer opportunities abound. For well-being, health and friendship, there is nothing better than taking part in hands-on opportunities. Our Volunteer Coordinator is ready to answer your questions and help you connect to an opportunity that will meet your needs, whether you are interested in the Plantmobile, a special event like the Flower Show, or the Library. Learn more here or call 617-933-4934. Of course, March in New England means that the Flower Show is upon us! The hard work and camaraderie of putting together the Competitions for Mass Hort at the Flower Show is at its zenith. Opening Day is Wednesday, March 13. Volunteer and get to see the show. All of us here at Mass Hort hope to see you there! Have a houseplant that makes you smile every day? One that your friends and families ooh and ahhh over every time they see it? Want to share your love for it with the world?! Well, you are in luck! We will be accepting new entries in our horticulture competition at this year’s Boston Flower and Garden Show, on Sunday, March 10, at the Seaport World Trade Center. You don’t have to be a professional grower and the plants don’t have to be perfect, just perfect to you! Bring all of your favorites and we’ll help you categorize them and get them ready for the show. Thousands of people will see them on display for the following week and you may even win a blue ribbon! If you would like information, please email Hannah Traggis, the Amateur Horticulture competition chair at htraggis@masshort.org and visit the competition’s page for specific instructions. It’s that time of year again… we’re busy preparing every detail for Mass Hort at the Flower Show! This year’s exhibit will again incorporate the Floral Design Open Classes. Their Caribbean Beach inspired competitions set the stage for our exhibit, ‘The Golden Mean’. Mass Hort’s garden exhibit will be an example of how we can find happiness in the balance point between the hectic schedules and relaxing oases of our daily lives. Our exhibit will include beautiful tropical plants which can be incorporated into backyard designs in Massachusetts. 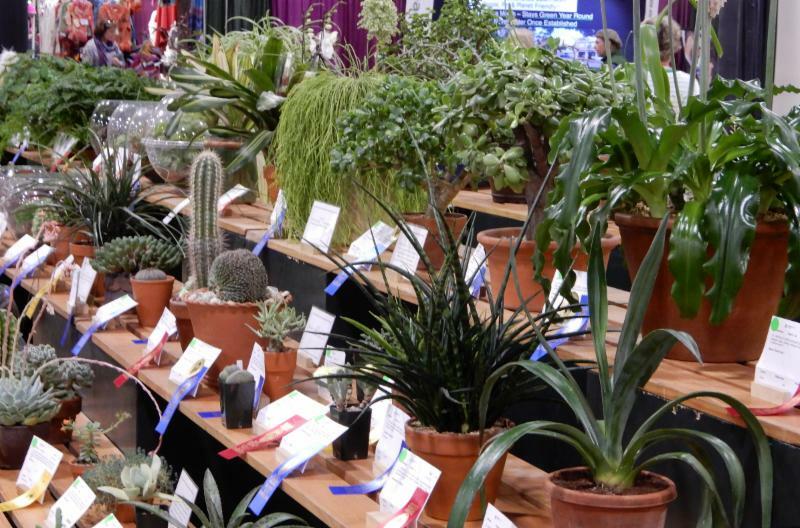 Amateur Horticulture competitions will again be on the main floor. This is a favorite exhibit of many visitors, and you can also bring your favorite houseplants to show off-- last year there were potted trees, superlative succulents, blossoming bulbs, and more! As always, we’ll have a fabulous photography competition on exhibit. Winning entries come from all over the country and connect to the show theme, ‘The Beauty of Balance.’ Visitors can vote for their favorite images in both the adult and youth divisions. 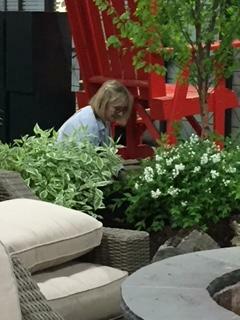 While you’re at the back of the hall, snap a selfie in Mass Hort’s Big Red Chair and head over to the Ikebana exhibit. New this year, the Ikebana exhibit will be greatly expanded, include larger designs and feature demonstrations every day. Make sure you don’t miss it! We hope you have received your tickets and can make it to the show. When you’re there, be sure to check out the lectures and demonstrations (including Mass Hort’s speaker series highlighted below), and come visit us at the Membership Booth. We’ll have an educational display, ‘The Golden Ratio’, in partnership with the New England Society of Botanical Artists. It will feature beautiful drawings of the symmetry in nature. Kids can explore examples of the Golden Ratio and find hidden elements within our exhibits to earn a prize (adults can too!). For those looking to do even more, know that we cannot bring Mass Hort at the Flower Show without lots of volunteers! Sign up to help, here . For more information on competitions, lectures, and directions, please go to our website . There's so much to learn with Mass Hort! Check out these programs which run at The Gardens at Elm Bank in March. Be sure to keep an eye out for your Spring/Summer Course Catalog which will be mailed to homes this month. On Tuesday, March 5, from 1 - 2:30 p.m., Marisa McCoy and Nancy Costa will lead the class, How to Exhibit in a Flower Show and Enjoy It! 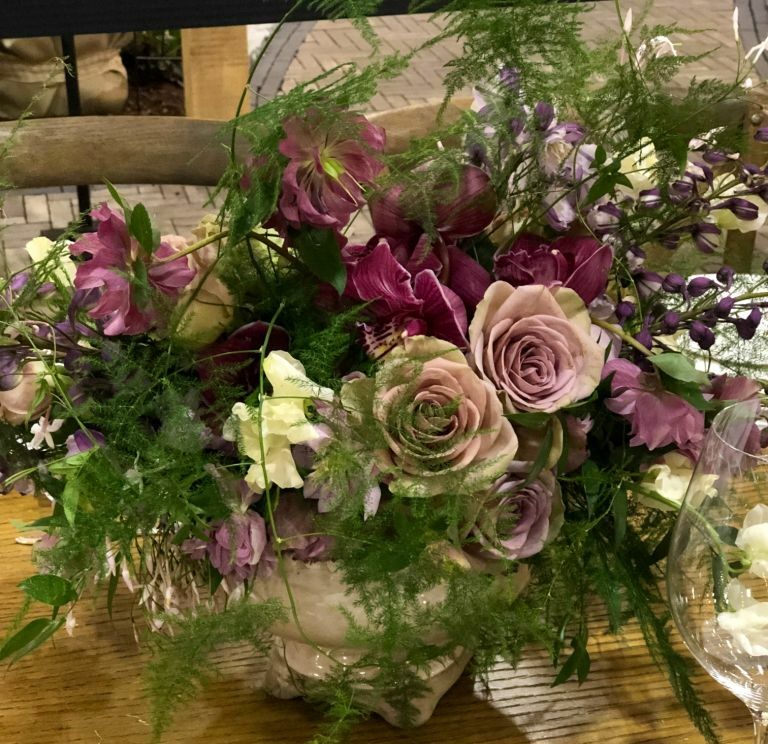 They will review all you need to know to be successful and have a lot of fun as an exhibitor, such as: how to get ready, finding resources to assist you, and how to easily put together your arrangement at the Flower Show. This workshop is free, please let us know you're coming here . Garden Speaker and Master Gardener, Cheryl Monroe, will lead two talks this month. Join us Thursday, March 7, from 7 - 8:30 p.m. for Get Ready! The Spring Garden , in which she will cover pruning, tool care, bed preparation, lawn care, and pest control. Find more details and register here. On the lighter side, she'll also deliver Learn a Little Latin , a presentation on botanical nomenclature. With humor and interesting stories, Cheryl wil l will help you decipher your garden and bring out your latent Linnaeus. Great for gardeners of all levels! Register here , this program will be held Tuesday, March 11 and is offered in partnership with the New England Unit of the Herb Society of America. Space is limited. Mark Ahronian returns at the end of the month with his popular hands-on design course, Fundamentals of Landscape Design . In this six-session course, students will learn the basics of design and ideal plant lists for their own design. Space is limited, so please register here . President of the UMass Stockbridge School Wes Autio will lead an evening talk, Fruit Trees: Pruning and Care. He'll review methods to prune and maintain trees for a home orchard that will increase yields.Thursday, March 28, from 7 - 8:30 p.m. Sign up here. Volunteers are sprouting at Mass Hort! Join our volunteer community and help support our programs and mission. Flower Show Volunteers Plan to awaken your senses and help make our exhibit and competitions at the Boston Flower Show a resounding success! This outreach opportunity - our largest of the year - helps us to connect to our many supporters and reach new ones. We need helpers to build, install and water our exhibit, to be ambassadors for Mass Hort and membership, and help us guard the plants, among other tasks. If you are passionate about plants, love to talk to people or just want to learn what goes on behind the scenes of a flower show, please join us as a volunteer. Sign up here ! Online Auction Volunteers We are looking for volunteers to help us in the coming months with an exciting new fundraiser, an online auction. This will raise much needed funds for Mass Hort's educational programs and gardens. For more information or to join the team, check out our sign up page here or email Amy Rodrigues, Mass Hort's Volunteer Engagement Manager, at arodrigues@masshort.org . Garden Volunteers Greenhouse work and planning for next season's gardens is underway! Please join us at one of our upcoming Monday morning garden sessions . Slots are still available for the end of March. Be inspired by the natural world and enjoy the many benefits of volunteering with us in the warmth of the greenhouse or in the quiet of the gardens. Earth Day Celebration Calling all volunteers! Plan to welcome our flora and fauna for the new season and help us get the gardens ready by volunteering with us at our Earth Day Volunteer Day on Saturday, April 27, 9 a.m. - noon. Groups and families are encouraged to join us! Click here for more information or to sign up. Corporate/Group Volunteers Can't volunteer? Use your connections and help us connect to corporate, school or community groups that would like to volunteer in the gardens this spring or summer - we welcome groups of any size for a minimum of four hours Tuesday through Friday. For more information, please contact Amy Rodrigues at arodrigues@masshort.org. Announcing a very special evening and book signing with Margaret Roach, t he recipient of Massachusetts Horticultural Society's 2018 George Robert White Medal of Honor, our highest honor, for her contributions to horticulture. Join us on April 25 from 6 - 9 p.m. for a cocktail hour, a book signing, and presentation. 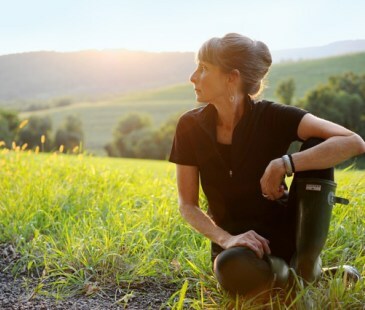 Copies of Margaret Roach's all-new version of her first award-winning book, A Way to Garden , is being published this spring on its 21 st anniversary. We'll be celebrating its reissue and copies will be available for purchase and signing at this event (before it's on shelves)! Young children love nature; they love to run, jump and explore but as they get older other, things get in the way of their fascination with the natural world. How can we build a group of children who care about their world? Start young. Children are naturally curious and nature is fascinating. An activity can be as simple as taking a walk in their backyard or in a park. Winter turning into spring is the perfect time for everyone, even older children; they are all ready to get out of doors. 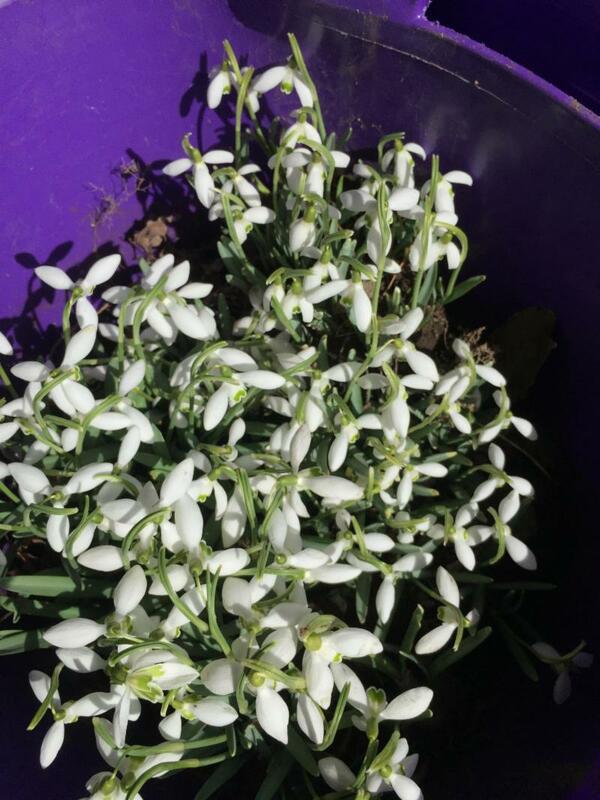 At this time of year, small things are noticed: tree buds are plumping up, the little spikes of bulbs are starting to push through the cold damp earth, snowdrops and crocus start to flower enticing pollinators to buzz around. The bright red male cardinal looks for food on the ground, the blue jays squawk back and forth and the goldfinch jumps from branch to branch; spring is coming and the earth is waking up. Let the children be a part of that wonderful new beginning of spring. There are so many reasons why children need to be out of doors and explore their world. Their world can be anything from a 5 acre backyard to a container garden on a porch, from a playground with dandelions sprouting up here and there to a well-manicured public garden, like Weezie’s Garden for Children, perhaps. Young children, toddlers, learn how to negotiate different types of terrain, increasing their gross motor skills- learning how to balance. Their sense of touch is developed when they feel the bark of a tree or the soft green grass. When looking down on the ground they experience new things- an ant, a worm, a flower or butterfly; they now are in a whole new world- the world of investigation and discovery. Older children can take a little more time. 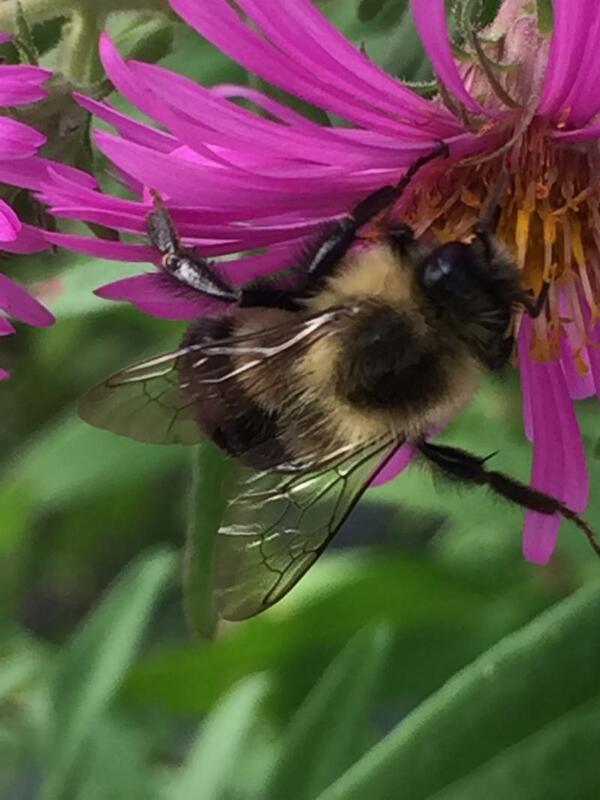 They can observe nature: a fat fuzzy bumble bee covered in pollen gathering nectar, an adorable little chickadee hopping from branch to branch singing her chick-a-de-de-de song or a seedling starting to poke up through the earth. Children learn to observe. They learn to be patient watching a flower unfurl petal by petal. They learn to listen to the sound of a cricket calling for its mate, and they learn the rhythm of nature. All of this development takes time; many walks and outing are needed to build a love of nature. From an increase in Vitamin D, the sunshine vitamin, to fresh air, and the increased activity of being out of doors benefits mind and body for the little ones, as well the grownups with them. This love of the outdoors does not always come naturally; it must be taught or at least modeled. The grownups in the children’s lives have an incredible influence when the children are young. So, look at the butterfly emerging from its chrysalis, stop and watch a fallen leaf meander down a little stream, go for a walk and listen to the birds calling. It doesn’t cost a thing and you, your children, and the planet have everything to gain. Kathi Gariepy will present Let’s Look Around: Engaging Children in the Natural World at the 2019 Boston Flower and Garden Show, on Sunday, March 17 at 1:30. Lectures are included with price of admission. And come see Kathi at Caterpillar Club in Weezie's Garden for Children on Wednesdays, June - August. “Ikebana is not just about sticking a flower into a vase. It is about the love and the need of the artist to create beautiful forms. Ikebana is not just about the flowers. Ikebana (生け花, 活け花,) is the Japanese art of flower arrangement. Mass Hort at the Flower Show manages the Ikebana exhibition at the Boston Flower & Garden Show. 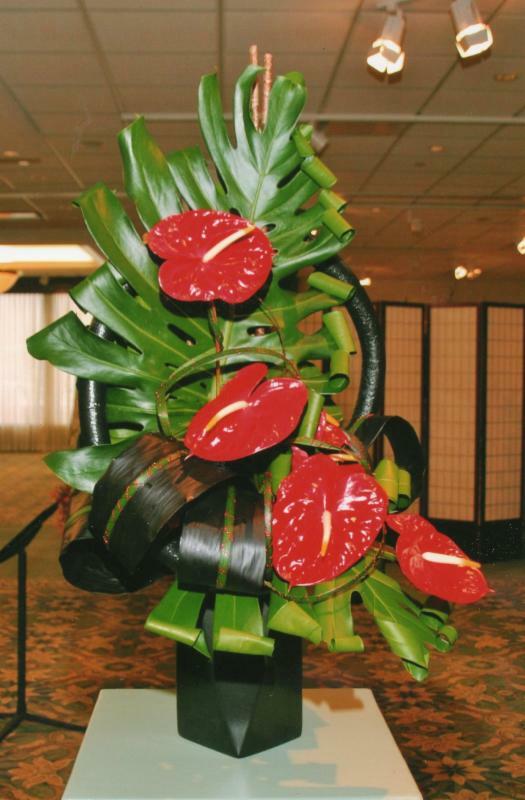 This year, there will be 40 Ikebana arrangements, including several large floor arrangements, showcased by the Boston Chapter of Ikebana International . Ikebana dates to the sixth century when floral offerings were made at altars by Buddhist priests. Later in the 16th century, designs became more formalized and several schools arose. Styles change and today Ikebana is practiced at all levels of Japanese society and throughout the world. Ikebana is an art that interweaves the spirituality of nature with plant materials that follow specific rules of construction. The term pamphlet usually refers to a complete work that has less than 80 pages and is about a single subject. Often meant to be temporary, pamphlets are particularly useful to researchers as a source for insight into the views, events, mores and controversies of the time. You can see what is on the list here and search using keyboard keys Control+F. What will Kathy do next? She will be tackling the cataloging of the newly found Edwin Hale Lincoln plates. Without the help of Kathy and our other volunteers we could not make our collections available for research and enjoyment. We have a lot to do and the enthusiasm to labor on. Thank you Kathy and the rest of our volunteers! The Library has over 60 books on Japanese flower arranging. These include something for everyone. They include books on the specific schools of Ikebana, books on history of Japanese flower arranging, books for the beginner, books to inspire and books to enjoy for their sheer beauty, including the composition of the books themselves. The Library relies on the generosity of its members to build and preserve its Collections. This month we thank Heidi Kost-Gross and the Wellesley Garden Club for their donations in memory of the late Betty Ferris, a former Board member of the Society who had a passion for horticulture and gardening. These donations support the Library’s preservation efforts. We also thank Heidi Kost-Gross for her in-kind donation of floral design books. Do you want inspiration for donating to our collections? Check out the books on the Society’s Amazon Wish List―we’ve added some new titles we would love to add to our Collections! The Library is open on Thursdays from 9 am to 1 pm, at other times by chance or appointment. Before you venture over, we suggest you email mobrien@masshort.org or call 617-933-4912 on days the Library is not scheduled to be open. A benefit of Society membership allows members to borrow our most of our recent books. Have a book and cannot come in when the Library is open? You can leave it in the box outside the second floor office at the Education Building. 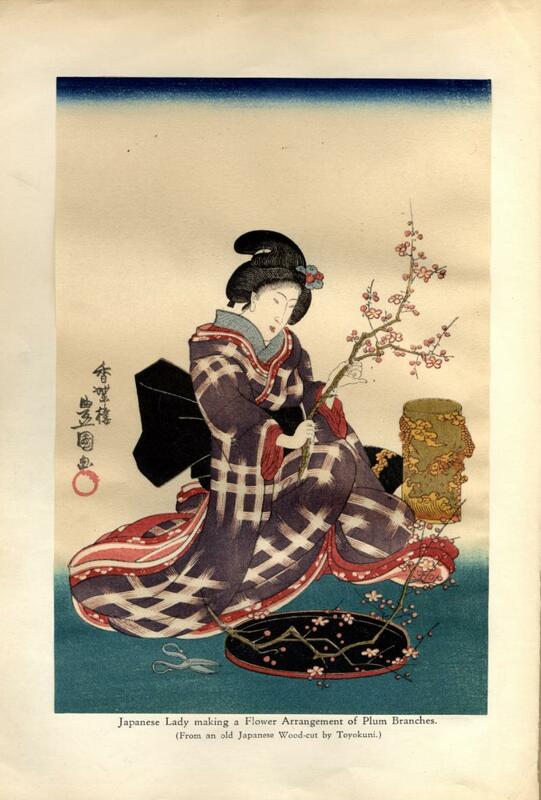 Image: “Japanese Lady making a Flower Arrangement of Plum Branches,” An old Japanese Wood-cut by Tokokuni. Frontispiece: The Art of Japanese Flower Arrangement by Alfred Koehn, Boston: Houghton Mifflin Company, 1934. This year, Mass Hort at the Flower Show has arranged a lecture each day of the show. Presentations take place at the front of the hall and are included with your admission. We hope you can take in a talk or two! Times vary, keep reading for details. Judith Sumner, Wednesday, March 13, 11:30 a.m.
From victory gardens and medicinal herbs to jungle survival and camouflage techniques, plants played a major role during World War II. Drawing from Plants Go to War, her forthcoming book, Judith Sumner will examine the plants that provided wartime food, pharmaceutical drugs, timber, rubber, canvas, and other essential goods and survival techniques that helped to win the war. Join us at this slide-illustrated talks for a fascinating convergence of history and horticulture! Ken Greene, Thursday, March 14, 12:30 p.m. When you plant a seed, you grow a story. Seeds carry stories of travel, romance, tragedy, myth, and beauty. Through looking at and digging deeper into the garden-inspired artworks commissioned by the Hudson Valley Seed Company, learn about a diversity of seed stories. Discover the history of seed diversity, the modern importance of seed saving, and how seeds connect us to food, farming, butterflies, history, politics, good soil, our ancestors and each other. Plus, along the way you’ll find tasty new varieties you can grow at home! Terry Duffy and Christie Dustman, Friday, March 15, 1:30 p.m.
Balance can seem like such an obvious design concept – yes it is level or no, it is leaning. But in the landscape and art, balance is more nuanced and complex. Can a garden vignette be balanced while not being symmetrical? Can irregular shapes be balanced? How does balance affect our perspective on beauty? Join two seasoned Landscape Designers for this presentation on how balance is more than meets the eye. Julie Moir Messervy, Saturday, March 16, 2:30 p.m. Throughout her long career as a garden and landscape designer, author, and presenter, Julie Moir Messervy has always sought to create landscapes that resonate with beauty and meaning. In this talk, she shares the principles and processes she lives by, for visioning, designing, and building personal and private landscapes. Using her firm’s projects as case studies, she interweaves personal stories with design theory and perspectives, as well as befores and afters and tips that apply to creating a beautiful garden and living a joyful life. 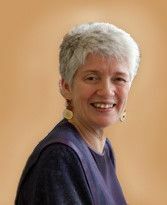 Kathi Gariepy, Sunday, March 17, 1:30 p.m. Looking around and discovering the world out of doors is one of the joys of childhood. Looking at a flower opening to the sun, a butterfly emerging from its chrysalis or a seed popping from the earth are wonders that engage children of all ages. Take a look around and learn to see the nature that surrounds our children and ourselves. Perhaps, like me, you fantasize about spending a year traveling the world visiting every garden, park and landscape you long to experience. Giverny? Sissinghurst? Katsura Imperial Villa? Please send me there. 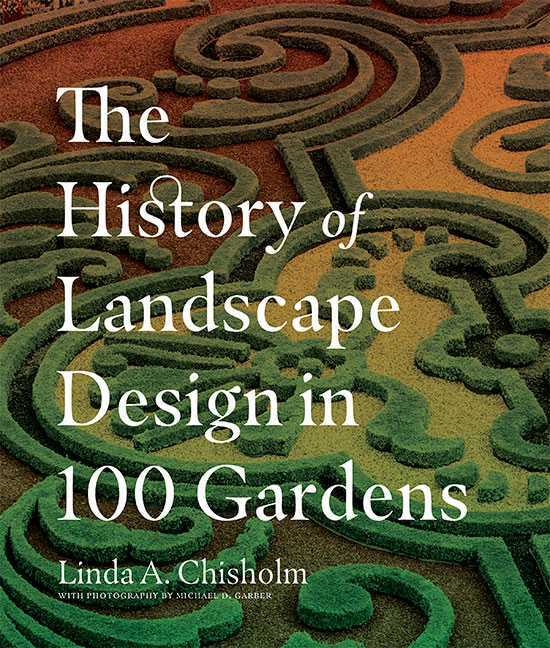 And then there are books, such as The History of Landscape Design in 100 Gardens by Linda Chisholm, which start that journey for us. Written for those who love gardens, gardening, history, literature and art, The History of Landscape Design in 100 Gardens profiles one hundred of the world’s great (not greatest) gardens, providing inspiration for future travels. The distinction is important. Chisholm, who teaches the history of landscape design at the New York Botanical Garden, curates the gardens profiled as an illustration of the history and principles that underlie the evolution of landscape design. Using a personal filter, her goal is to reveal why a style became dominant at a specific time and place in history. Focusing on developments from around the world that most impacted North America and the United Kingdom, The History of Landscape Design in 100 Gardens , ambitiously examines how plants, horticulture and garden design changed the world. Its approach, which illustrates important evolutionary and revolutionary moments in the history of garden and landscape design, implores the reader to consider the ideas, beliefs and hopes expressed in the designs we choose for our gardens, be they humble or grand. Chisholm views landscape design as an art form, intimately tied to the unique biography of its creator. These visionaries and experimenters were a diverse lot with differing motives. Fortunately for the reader their stories intrigue and inspire, brought to life through Chisholm’s comprehensive research and engaging prose. Seventeen chronological and thematic chapters are presented. Within each a series of gardens is explored. At the beginning of every chapter an overview provides context to the content that follows. Some of the garden pairings are more successful than others and I often found myself going back and forth to fully understand the relationship between each. A chapter is devoted to the impact of sea voyages on horticulture, science and botanical gardens during the age of discovery. Titled a “A World of Wonders,” it profiles L’Orto Botanico in Padua, Hortus Botanicus in Leiden, Chelsea Physic Garden in London and Bartram’s Garden in Philadelphia. In “The Poppies Grow,” garden creators that found solace in opposing the industry that led to war and their gardens are profiled. These include Lawrence Johnson (Hidcote), Vita-Sackville-West and Harold Nicolson (Sissinghurst), Mildred and Robert Woods Bliss (Dumbarton Oaks), Harvey LaDew (LaDew Topiary Garden) and Christopher Lloyd (Great Dixter). In contrast to the devastation of war, each viewed the garden as a source of comfort, renewal and resurrection in which the ravages of industrialization and destruction could be ameliorated. The History of Landscape Design in 100 Gardens is beautifully designed. Evocative, color photographs by Michael D. Garber adorn almost every page, complement the text and artfully convey a sense of place for each garden. An index, compiled as a toolkit, includes concepts, principles, design techniques and garden features. There are extensive source notes and a bibliography for each chapter. This is an ambitious book about a complex and multi-dimensional topic, which I very much enjoyed. I do wish, however, that instead of The History of Landscape Design in 100 Gardens it had been titled A Selective History of Landscape Design in 100 Garden s as there is so much more on the subject to reveal and the book's focus on influences on North America and the United Kingdom is, in itself, a limitation. And as for garden travel, Chisholm reveals that while she has read about the great gardens and used a variety of sources for each period of history, she has visited most , but not all, of the gardens included. This led me to want to know more about the criteria for the 100 gardens selected while providing me with a renewed impetus for my own explorations. Patrice Todisco writes about gardens and parks at the award-winning blog, Landscape Notes. In this unusual winter of 2018-2019, it took until Winter Storm Quiana to finally bring the Boston area enough snow to make it necessary to fire up our snowblower. That event also began the annual nature-versus-nurture ritual in our family of arguing that Neal Cannot Possibly Know Anything About Snow Removal Because He Was Born in Florida. Yes, it is true. I am a native of Miami. I did not experience snow until I was 20 years old, and then only because I drove two hundred miles for the specific purpose of personally witnessing actual flakes of snow falling out of the sky (it seemed like a good idea at the time). But that was in 1969. Since 1971 I have lived exclusively in snowy locales. I once lived in Schenectady, NY, where it is rumored the snow never melts. I dwelled in Chicago where it begins snowing on Halloween and does not stop until late April, if then. And I have spent 30 of the past 38 years in New England; sixteen of them with a 220-foot-long driveway that most decidedly would not clear itself without my intervention. Surely my adult tenure as a ‘northerner’ counts for something. But not according to my wife, who was raised in the Finger Lakes region of New York, the anointed Snow Capital of America. While I was busy tending the family mango and avocado plantation in January, February and March, Betty was working shoulder-to-shoulder with her father to clear six-foot-high drifts of the white stuff. I freely admit she had a head start on me, but I’ve had nearly five decades to catch up. I am not allowed to use the snowblower because I ‘don’t do it right’. What, exactly, is the ‘right’ way? You point the snowblower down the driveway and put it in gear. You turn the crank on the gizmo that throws it left or right. What could be easier? Well, our driveway is not macadam. It is loose stone (to allow precipitation to percolate down into the water table rather than into storm drains). Three years ago, I invented – and may yet decide to patent – a means of mounting the ‘maw’ of our snowblower onto a pair of skis so the business end of the machine rides an inch above the stone. It is a sight to behold and it works wonderfully well. But I am not allowed to be its wrangler because (it is alleged) I picked up too many stones on the lone pass of the driveway I was allowed to make. I am instead consigned to the hand-shoveling of the sidewalk. But even that requires close spousal supervision. You see, we have no grass. If we did, we could pile snow on it from now until Memorial Day. Instead, we have trees, shrubs of many sizes, and perennials. It’s never OK to put snow on a shrub (duh), but snow must also be spread out within perennial beds, never allowing snow to become too deep. Also, to prevent accidentally covering small shrubs, snow should preferably be transported to the moss pathways that divide our garden into planting beds. 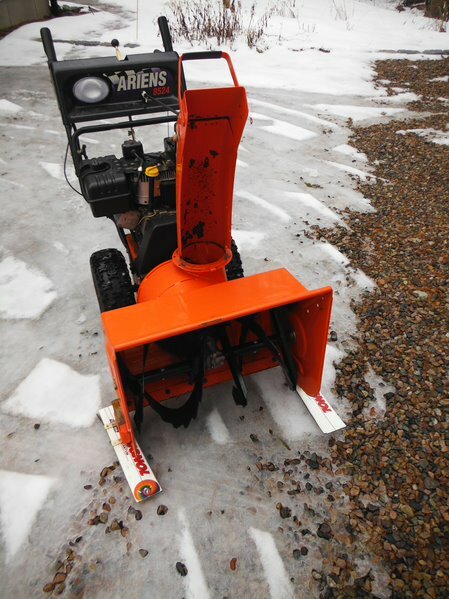 If I sound like I’m griping, it’s only because I think I’ve earned another shot at the back end of our Ariens Deluxe 22” machine when Winter Storm Ryan comes around. I’ll even keep shoveling the sidewalk. Just don’t make me go back to spend July in the mango plantation. Neal Sanders’ 13th mystery, ‘Never Too Old to Lie’ has just been published and is available on Amazon and in bookstores. Time to repot houseplants. Now is a good time to repot your houseplants, especially if you did not do so last fall. Remove any soil with salt build-up (the crusty stuff on top) and some of the old soil from around the roots. The pot should be only 1-2 inches larger than the current pot, clean, and with good drainage. 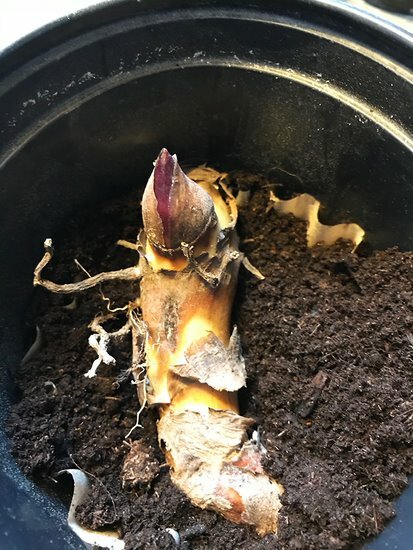 Most houseplants are happy with commercial or homemade potting mix if you are a do-it-your-selfer (Google ‘Cornell potting mix’), but I add sand to any mix when transplanting succulents or cacti and use small bark chunks for orchid pots. Once they are securely in the new home, water them with a dilute fertilizer solution to help them settle in and get off to a growing start. Stay off soggy ground! Compacted soil means no tiny spaces for new roots to grow into and no place for water to percolate through. Mother Nature reverses compaction by freezing and thawing. But wet spring soils can become as hard as concrete when walked upon. If you are leaving footprints as you walk on lawns, gardens or around trees and shrubs, you are compacting your soil. Stay on paths until the soil dries. Don’t be in a rush to uncover bulb beds, perennials, shrubs or roses you gave extra protection to last fall. While temperatures usually warm quickly at the end of March, they can still be quite cold with the possibility of nasty snow and ice storms, especially in early April. And then there was a May snowstorm…. What’s your top seed? Before joining others picking their seeds for March Madness, make certain you have ordered the flower and vegetable seeds for your summer garden! Cannas, begonias and dahlias are best started in March – indoor – for earlier summer blooms. Use fresh potting mix and pots that will be large enough for the mature plants. Keep your bulbs indoors, watering them lightly, until freezing nights have safely passed in early May. Feed houseplants. After a winter of low light, start preparing your houseplants for their new season with a weak liquid fertilizer solution. Your goal is to encourage new growth as the days lengthen, but don’t shock them with full-strength fertilizer treatments. Invest in a soil thermometer and begin checking soil temps as soon as your gardens begins to thaw. Lettuce, onions, spinach and parsnip seeds can be planted when the soil reaches 35°. At 40° you can add arugula, beets, cabbage, turnips and radishes as well as many Asian greens. But remember this is garden soil, not air, temperature so be certain to push your thermometer into the ground a couple of inches and allow it a couple of minutes to get an accurate reading. Build, paint and repair. Waiting to get gardening is easier if you are working on gardening projects. Repaint and repair garden furniture. Clean out, refurbish or build bird houses before the birds return. Repair and repaint arbors, trellises and fences when the weather allows and before new growth begins. Growing from seed. If you started flowers or vegetables indoors in January, thin these seedlings now, separating them into individual pots or in cold frames to give them enough room to develop properly. 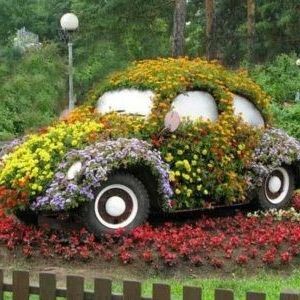 Betty Sanders is a widely known speaker and writer on gardening topics. You can read more of her horticultural advice at www.BettyOnGardening.com . Mass Hort's Annual Gardeners' Fair will be Saturday, May 11 from 9 a.m. - 3 p.m. Interested in being a vendor? Find information here .